Just pay an additional free shipping of $7.97 to receive FREE Entrepreneur Secrets Book. 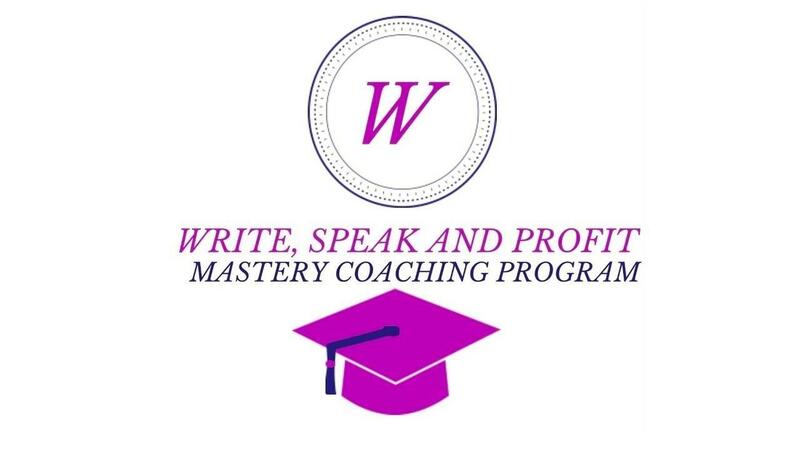 Write, Speak and Profit Mastery Coaching Program has been created for Heart Centered Women Entrepreneurs, Experts, Authors, Speakers, Business Owners, Coaches and Service Based Organizations who want to Break Through The FEAR and OVERWHELM Of Writing, Publishing and Marketing Your Book So YOU Can Become Confident In Your Abilities To Write Your Book, Get Your Story Out To The Right People and Share Your Message Strategically To Attract Your Dream Clients and Customers On Autopilot. Create a 6-figure+ book business and make a bigger impact in people's lives includes 8 weeks of coaching and over $18,000 in authentic bonuses.